I've been in a sort of rotational funk the last few raid nights, and I'm not exactly sure how to fix it. I've been noticing my reaction times getting slower in regards to procs. On a pull the other day I just forgot to use stampede in my opener. It's particularly weird because it's not something I generally "remember", it's something I just do. I have been looking through good parses on World of Logs. Sometimes that helps a little bit. It might inspire me to try a slightly different opener, or something like that. But mostly it's just not doing it for me. I think part of it is just being tired of doing Siege of Orgrimmar over and over. But I think more of it is because I know how much is changing in Warlords. The more I look into the new perks and abilities, which do seem quite fun, the less interested I am in perfecting the current system. Hopefully they'll keep the information about WoD coming so I have something fun to think about, at least. 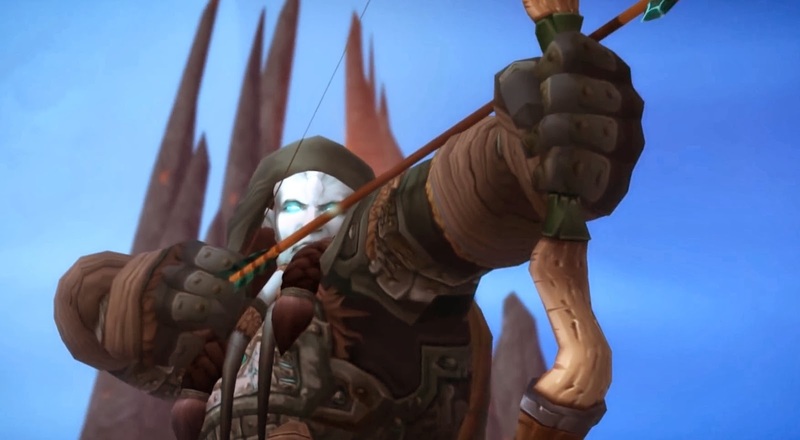 Really, what I need is more footage of that awesome hunter from the WoD trailer.